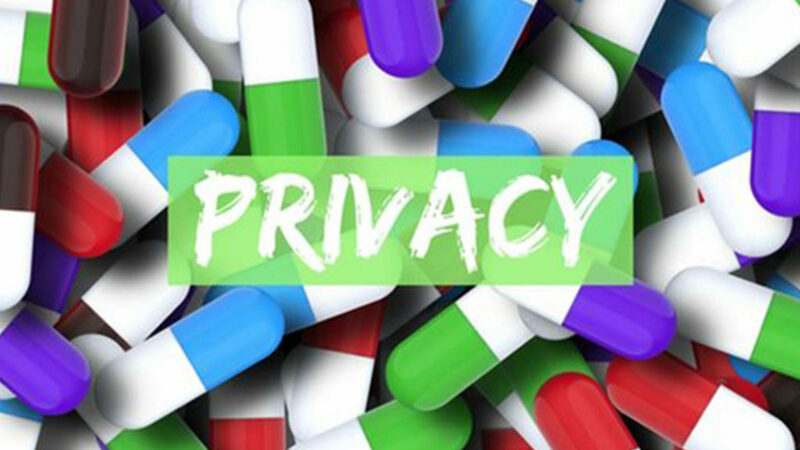 Would you give up your privacy so that doctors treating you for any condition could have access to your complete medical history including information related to any substance use disorder? Supporters say it’s necessary so clinicians can make sure you get the best care and to ensure your safety. Lawmakers are wrestling with concerns about patient privacy. Supporters say it’s necessary so clinicians can make sure you get the best care and to ensure your safety. Lawmakers are wrestling with concerns about patient privacy. On May 8, House Energy and Commerce Subcommittee on Health considered a bill that would change “Part 2” of the Public Health Service Act (42 C.F.R. Part 2). Part 2 of the Act regulates information-sharing about substance use disorder treatment. It was passed in the 1970s to protect the privacy of those seeking substance use disorder (SUD) treatment, to avoid discrimination and other negative repercussions that might come with the stigma of a history of SUD. Unfortunately, this Act has been under debate for several decades. It was substantially updated in 1987, and healthcare has changed in the last 25 years. New models of integrated care for supporting patient care have emerged. An electronic infrastructure for managing and exchanging patient data was developed. The expansion of prescription drug monitoring programs was adopted. A new focus on measuring performance in health care systems has been implemented. Following the Health Insurance Portability and Accountability Act of 1996, which includes privacy protections for healthcare information, debate further ensued. Some believe that the new Act nullifies the need for Part 2 of 42 C.F.R.. So, new revisions for the rule were proposed in February 2016 with a final 42 CFR part 2 rule going into effect on March 21, 2017. The new piece of legislation considered yesterday, the Overdose Prevention and Patient Safety Act (H.R. 3545), would allow information-sharing between authorized parties for purposes of treatment, payment and healthcare operations. Proponents of H.R. 3545 offer that Part 2 rules and exceptions are cumbersome and discourage healthcare providers from sharing information. Through written and oral testimony, examples were given of patients who were in recovery or struggled with SUD, but did not or could not consent to share their SUD history with their healthcare providers in emergency situations. This resulted in patients being prescribed medications that were contrary to their recovery and, subsequently, in significant relapses. Advocates for H.R. 3545 also contend that Part 2 creates lost opportunities to help those struggling with SUD when they are in a medical setting. Not all, however, support H.R. 3545. The list of public submissions in support and opposition to the legislative changes were significant. Opponents say Part 2 is a critical part of maintaining privacy in recovery and protecting patients from discrimination in offers of employment, child custody decisions, insurance eligibility and more. Further, they note that Part 2’s requirement to get patient consent to share SUD information with a healthcare providers is an opportunity to build trust, and the opportunity to consent should not be taken away. They also say that HIPAA is not as protective, and that prohibitions against acts of discrimination under other laws, like the Americans with Disabilities Act, are not enforced consistently and this change would increase risk to those seeking treatment. The hearing displayed an important conversation about stigma. Is stigma removed by opening the book on SUD and sharing all of its ugliness? And would this information-sharing potentially transform perception of it from a lapse in character and judgement, to a biological disease which can be managed with the right coordination of care? Or does sharing information about failed efforts at recovery or relapses reinforce stigma, especially when protections in law prohibiting discrimination on such grounds are not evenly or effectively enforced? The answer is probably a little bit of both. Removing stigma will be one of the biggest barriers to overcome in getting those with SUD healthy again. This hearing showed that many members of Congress are aware of the sensitivities on both sides. Let’s hope that the way forward demonstrates that in law. Note: On May 9, the full House Energy and Commerce committee advanced 25 bills related to the opioid crisis. H.R. 3545 was not among them. S.A.F.E. Project US will continue to follow this legislation.